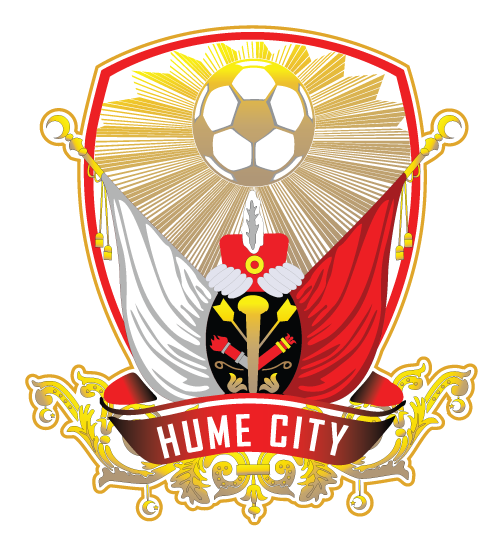 Hume City has started its 2016 NPL season in style, with a 3-0 win over Richmond SC. Over 700 fans were treated to0 a pre-game show of dancers, drums and fireworks, creating a brilliant atmosphere prior to kick off. The first half begun in a cagey fashion, with Hume City retaining most of the possession but struggling to create clear-cut chances. Kofi Danning had the first real chance of the game, when his mishit cross almost snuck in under the crossbar. In the 18th minute Danning almost turned provider when his cutback found Msahli who shot wide. City were dealt a blow moments later when Daniel Visevic hurt his shoulder in a challenge, Lou Acevski forced into making an early change with Theo Markelis his replacement. The fist half drew to a close with the scores locked at 0-0, but it wouldn’t take long after the break for Hume to open its account, Shaun Timmins heading home a Nick Hegarty free kick to give the home side the lead. Theo Markelis made it 2-0 shorly after when Hernan Espindola picked him out with an inch perfect pass, Markelis finishing expertly past an onrushing Christian Rossi. Espindola got a goal of his own ten minutes later, using quick feet the former Melbourne City man got rid of his defender, lashing his shot into the top corner, leaving Rossi with no chance. Hume City next face Avondale FC at Knights Stadium on Friday February 26. FULL TIME: Hume City: 3 (Timmins 51, Markelis 60’, Espindola 74’) defeated Richmond SC: 0 at ABD Stadium.